How do you figure out whether a vegan pizza will be popular enough to offer all the time? You challenge vegan customers to buy enough of that pizza to convince you. Pizza Hut UK promised that if customers bought 10,000 of its new Vegan ‘Jack ‘n’ Ch**se’ Pizza during January 2019, they’d make it a permanent addition to their menu. True to its word, the company has done just that. Demand was so great that customers bought an incredible 9,600 vegan pizzas in the first two weeks of January alone. 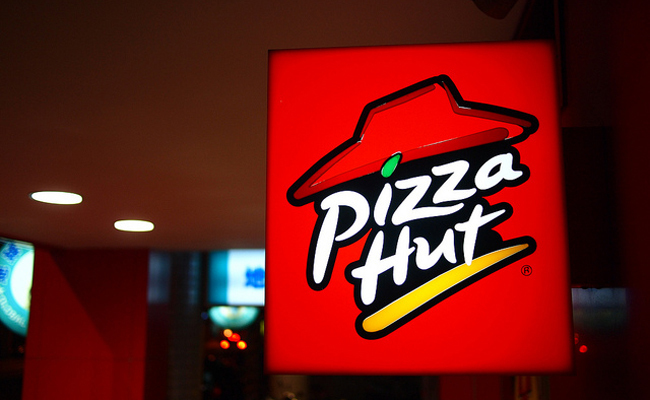 By the time the month ended, Pizza Hut had sold an amazing 17,700 pies, which were offered at all 253 outlets in the UK. [C]hang[e] public attitudes, while providing all the information and practical support required to make the transition to veganism as easy and enjoyable as possible. Veganuary has had an incredible degree of success in a very short time and is changing lives all over the world. Participation has reached new heights every year since Veganuary first kicked off five years ago. A cool 14,000 participants signed up on the very first day of this year’s Veganuary. Since then, the number of those pledging to go vegan for a month climbed to a record-smashing 250,000 across 193 countries. That beats 2018’s record-breaking 168,542 by a long shot. Pizza Hut’s new Vegan ‘Jack ‘n’ Ch**se’ Pizza has a tomato base topped with Violife vegan cheese, sweet corn, red onions, peppers and barbecue-flavored jackfruit. This pie is available on Pan, All American Thin, and Gluten Free crusts. Customers can add some favorites from 15 additional vegan toppings, too. More is coming? Well, why not? Looks like Pizza Hut just learned that catering to vegans is like money in the bank. Hey, Pizza Hut — bring the Vegan Jack ‘N’ Ch**se Pizza to the U.S. now that you know it’s a success. No one should have to struggle to find vegan pizza, after all. If it’s just a phone call away, it’ll be our “go-to” option for dinner on nights we don’t want to cook. What do we keep saying to restaurants and fast food chains? Give us decent vegan options, and we will be there — cash in hand. I wish this was available in the US. Sounds yummy. Thanks. I'll try it.